Figure 1. 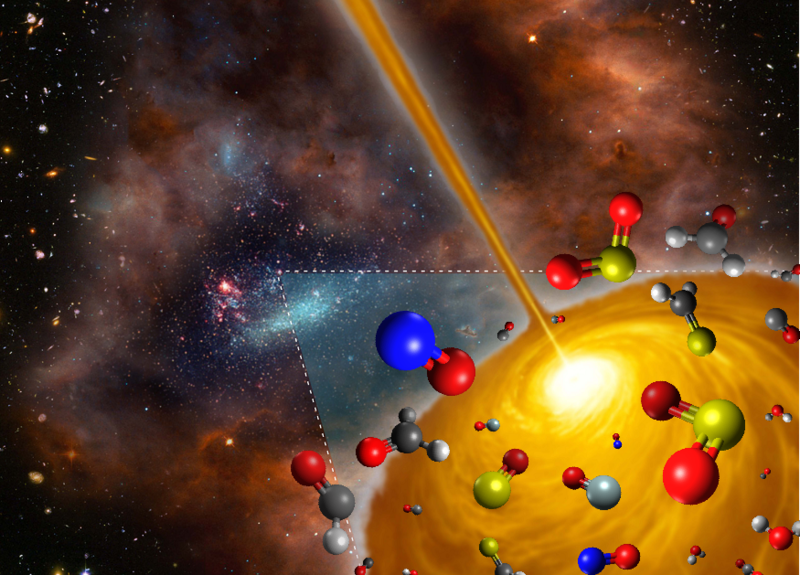 Artist's concept image of the hot molecular core discovered in the Large Magellanic Cloud. Credit: FRIS/Tohoku University. The figure is a derivative work of the following sources (ESO/M. Kornmesser; NASA, ESA, and S. Beckwith (STScI) and the HUDF Team; NASA/ESA and the Hubble Heritage Team (AURA/STScI)/HEI).